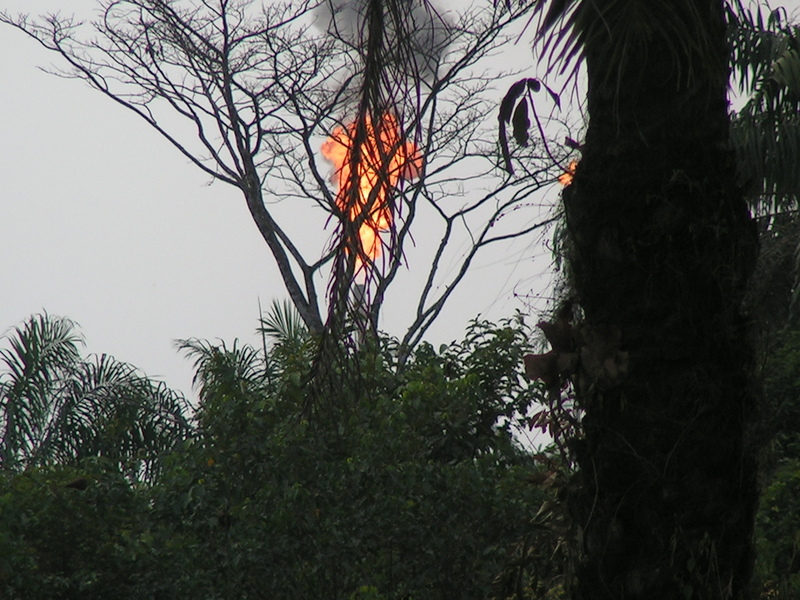 Gas flaring—a source of environmental pollution—in Omoku. Photograph: Chioma Daisy Onyige. I have been told by my parents that I asked many questions about my environment as a child—I don’t think I’ve changed much! As a child growing up in the region, I remember travelling with my mother and father from the city to my Omoku community to see my grandparents. At six years old, I remember following my grandmother to the plantation farm; it was so green, full of trees and leaves and plants. You could see all the cash and food crops in their bloom; I enjoyed playing hide and seek in the plantation because the leaves from vegetation like maize hid my tiny presence. I would eat fruits straight from the trees, and the best part was waiting for my grandmother to roast the harvested corn and unripe green plantain for lunch. Once I became I teenager my father would send me to Omoku with medication for my grandfather; I would deliver the medicine and then travel miles to the plantation to find my grandmother. I took canoe rides across river with fishermen in order to continue my long journey, but on one particular visit I noticed that all the canoes were parked by the riverbed. No fishermen could be seen; I was told by a villager who came to fetch water that all the fish had died because of the recent oil spill. Because I was so young, I didn’t understand the implications—I just needed to cross the river, and luckily some aimlessly sailing youths gave me a ride. On a canoe ride to areas devastated by floods. Photograph: Chioma Daisy Onyige. On the other side, I met my grandmother digging and hoeing at very dry ground. Everywhere was so bare, and few trees had enough leaves underneath which to seek shade from the hot sun. Out of curiosity I asked my grandmother why this was so: she told me that since the spill from one of the oil pipelines the land had not been fertile, and few of the crops were thriving. I went back home that day feeling as if I had lost a piece of my childhood. I told my father what I had witnessed, and what I was told, and he sat me down and educated me further on oil exploitation and pollution. He was a geographer and an environmentalist, and I think my curiosity was piqued by his passion for the environment and especially by his explanation that day. Since that time I have maintained my interest in the phenomena affecting this region, which was devastated by the exploration of its own natural resources. With a BA in English Studies and a flair for writing, I pursued a Master’s degree in Sociology because I felt that it would be a place for me to write about my environment. Nobody told me about the empirical and fieldwork part . . . Well, somehow I learned the ropes of social science research! As I progressed academically through my PhD in sociology, my passion for my environmentally-degraded region grew: because it’s my environment, because it’s my heritage, because it’s my reality. 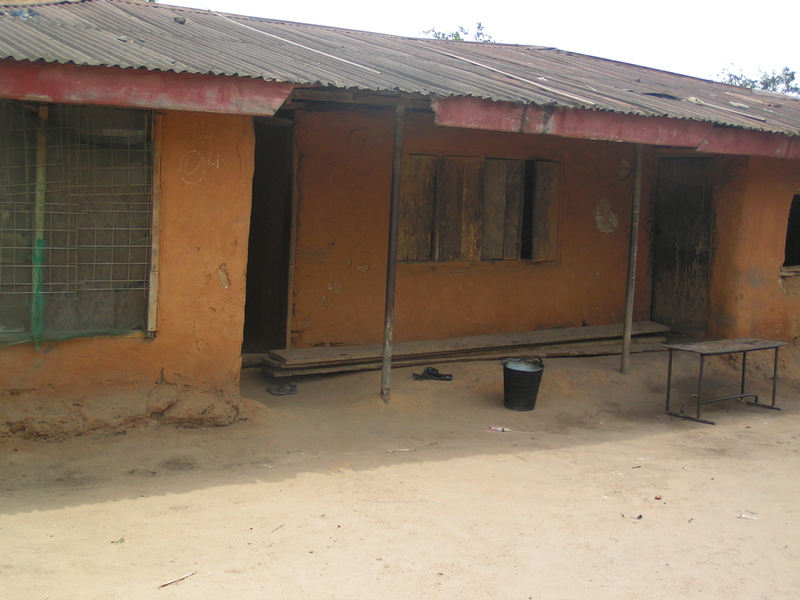 A typical mud house with no electricity or basic comfort in the oil-rich rural communities of the Niger Delta. Photograph: Chioma Daisy Onyige. In the 50 years after the first discovery of oil in the Niger Delta region, the Nigerian economy has become dependent on petroleum production and exportation. Today, Nigeria’s petroleum industry is the largest in Africa, and yet the Niger Delta region is one of the least developed and most environmentally degraded regions in the country. 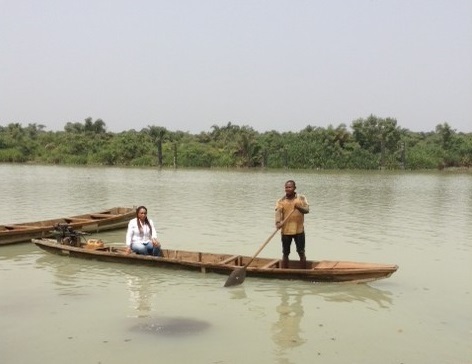 In early 2012, I was undertaking research on the role of women in the conflict in the Niger Delta region due to the impoverished state caused by oil spills from multinational companies; in the field I was affected by the sudden floods that swept across the region in July 2012. It was a horrific period for the people living there, and I consider myself lucky to have escaped. Lives and properties were lost, and many people were displaced. Apart from the problems associated with oil exploration, poverty, and underdevelopment, its people must also contend with problems caused by anthropogenic climate change. Seeing human suffering in a region that was already devastated, I decided to investigate how they coped. It was my curiosity as to how people are able to survive in the face of adversity that brought me to the Rachel Carson Center. I am grateful to be able to write about the experience of the people of this region, and feel lessons could be learnt from their resilience. My stay at the RCC brought me into contact with many great scholars of environmental history from different parts of the world. When I read or listened to stories about the geographical regions of their research, I became keenly aware of how much needs to be done in and for my region. Changes need to be made so that people can survive, and I want to be a part of that change. Through disseminating my research to the domestic and international community, I hope to act as a voice for the voiceless; the RCC has ignited the environmentalist in me, and I’m curious to see where this path will lead.